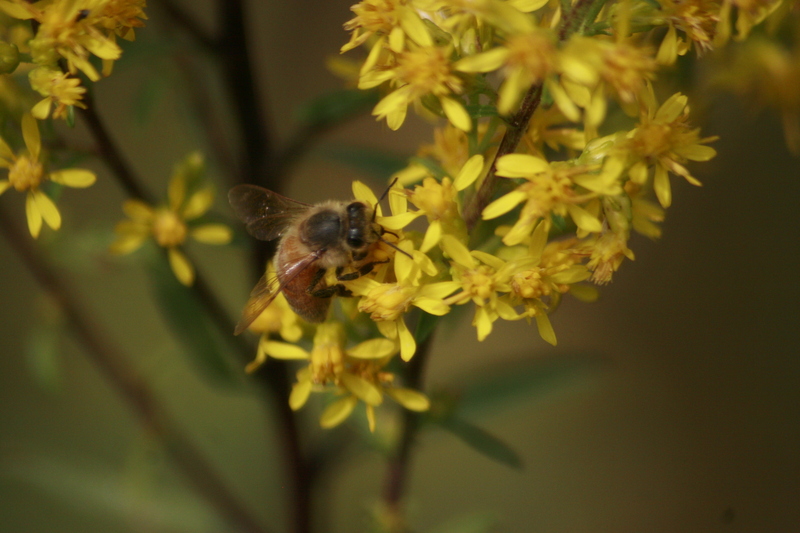 Pollinators play a significant role in keeping habitats healthy and diverse. They are important to agriculture pollinating crops and help in ensuring a good healthy yield. 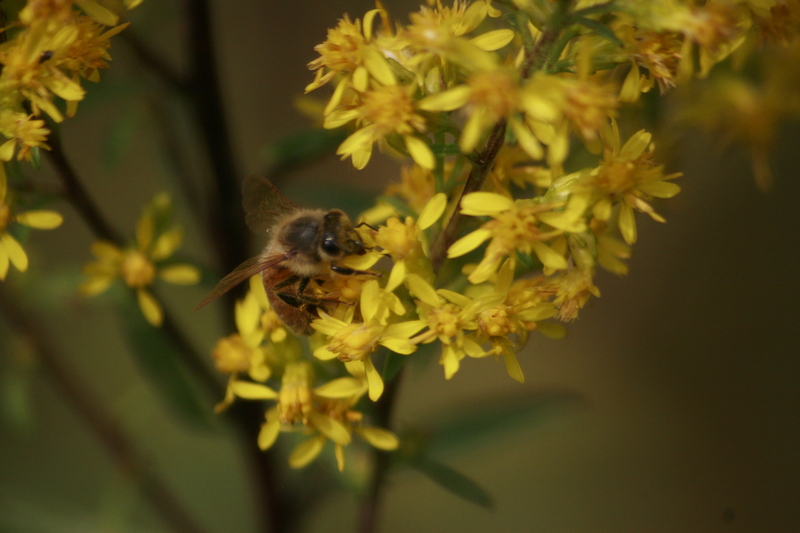 When most people think of pollinators, their first thought is honeybees. However, there are so many more bees than just honey- bees (which are non-native) and more than 3,500 species of native bees in the United States with 228 of them found in Illinois. Without bees, much of the produce that you love to have in the summer would not be available in the quantities or the quality that you love. Peppers, tomatoes, many root vegetables, and many fruits need bees to pollinate and produce healthy produce. Bees ensure that the flowers properly pollinate and produce healthy and abundant fruits, seeds, and vegetables. Research has also shown that an increased native bee population also makes honeybees produce more honey increasing the yield of local honey. The problem is that bees of all sorts are starting to become uncommon. In Illinois one native bumblebee, the Rusty Patched Bumblebee (Bombus affinis), is listed as federally endangered. There is a lot of speculation as to why bee populations are on the decline, but research has shown that one of the greatest threats to bees is habitat loss. This means that there is an easy way for you to help. As you are creating habitat for other types of wildlife, it is easy to incorporate habitat for bees as well. One of the challenges that scientists in Illinois face is understanding the distribution of bees in the state. The University of Illinois has a citizen scientist project called Bee Spotter. It is very simple to be a part of this project. To be involved you need a smartphone and an account with bee spotter. Simply take a picture of the bee from above and the side and send it into Bee Spotter. This allows the scientists to identify the bee and its location to increase their knowledge of the distribution of native bumblebees around the state. To participate or find more information go to beespotter.org. Bees fall into several categories of nesters: ground nesters, tunnel nesters, wood nesters and cavity nesters. Brightly colored flowers will attract bees to your yard. Make sure that flowers are blooming throughout the growing season to keep the bees coming back. Native plants require less maintenance than other plants and are an excellent food source for bees. For more information on creating bee habitat or other natural resource questions, please contact Jason Haupt (jdhaupt@illinois.edu).